Arlington is conveniently located just outside the bustle of Washington, D.C., which arguably makes it a very good spot to pursue your cooking career. After all, this is the country’s capitol area, the big hub of economy and politics. 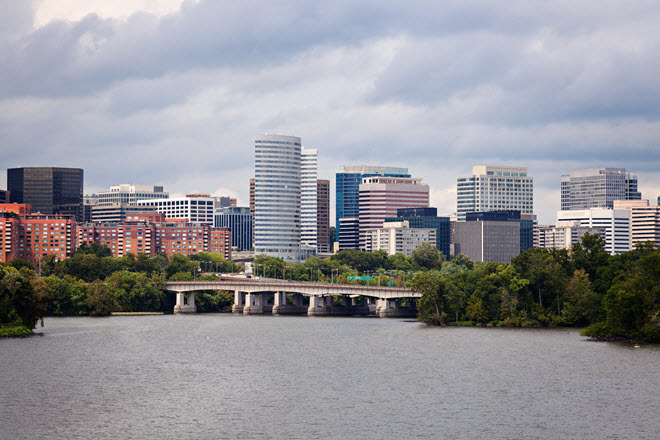 Not only is it heavily trafficked by U.S. tourists, but visitors from all over the world come to the Arlington and DC area. The addition of top-level diplomats and dignitaries that live and work in this exciting metro area means many top-notch hotels, restaurants and convention centers must also be maintained all with food service needs. The D.C. area is a hot-destination for chefs and cooks of all kinds. Good news is: even when the economy goes south the food industry remains sound and even vital. Diversity also is key in the food scene. The Arlington and D.C. area has it all: new American, steak and seafood, Asian fusion, fine Italian, French, Greek, and Indian. Think about it: some of the biggest conventions and most traveled sights exist in the D.C. and Arlington area. And new restaurants are on the uptake. What types of degrees does it offer? Can I get career placement assistance? Does the school offer scholarships or financial aid? How long does the program take from start to finish? Do I have the opportunity to practice in a real kitchen or engage in internships/apprenticeships? Find out how you can get that chef’s uniform on and take your place in a student kitchen in Arlington. This is just one of 30 other locations dotting the nation, all located in very convenient metro areas, precisely where new chefs are in most demand. As the name suggests you learn the fundamentals of international cuisines, including flavors, ingredients and cooking methods. Technique is emphasized and you are encouraged to bring your own individual vision and energy. Beyond the cooking you are also steeped in basic business and finance, skills necessary for running a professional kitchen. Degree programs include: Associates in Culinary Arts, Baking and Pastry or Wine, Spirits and Beverage Management; Diplomas in Culinary Skills or Baking and Pastry; and Bachelors in Culinary Arts Management or Food and Beverage Management.